New Front and Rear Extreme Duty Jeep JK Wrangler Rubicon or Non Rubicon 1310 Series CV Driveshafts with Solid U-joints. Custom made by Adams Driveshaft. Why not Buy from a Company that Owns, Lives, and Breathes Offroad vehicles like we do? We Test our Products on our own Jeeps to make sure the parts we are using hold up to the Pressure and Abuse that they are put through. FITS 2007 thru 2018 JEEP JK WRANGLERS 2 or 4 DOOR MODELS. 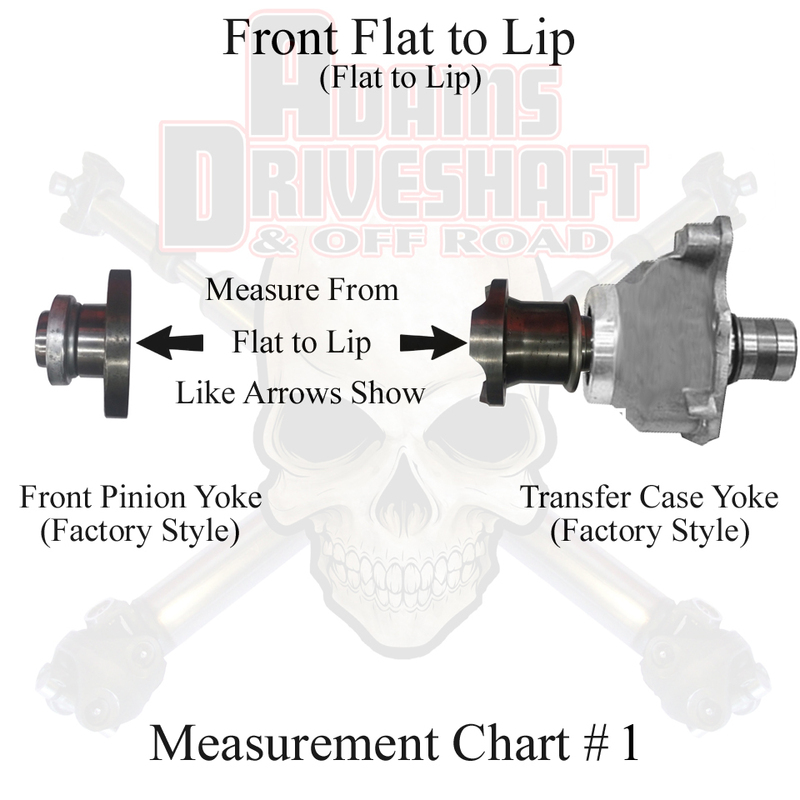 This OEM Flange Style Heavy Duty Series Front Greasable 1310 CV Driveshaft and Heavy Duty Rear 1310 CV Driveshaft will work up to 35" Tall Tires after that size we Recommend you upgrading to our [Extreme Duty 1310 Solid Non Greaseable Series]. Bigger tires adds more Weight, Traction, and more Pressure on your Drivetrain Components like your Driveshafts, Axles, Gears, Etc so you want to make sure you are buying the right driveshaft for your Jeep. We do know most of the measurements of your JK up to a 4 1/2" lift after that we would need a measurement. 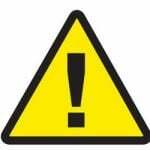 Please note: If you have a Rock Krawler X-Factor or Coil Overs we would need you to get us a measurement after the lift is on. Please e-mail us, the Year, Make, Model, Lift Size, or call us at 702-568-5680 between the hours of 8:00 am to 5:00 pm Pacific time Monday thru Friday after you have purchased the Item. If we don't have your Measurement we might need you to get us a measurement. There are some Measurement Charts below showing you how we would like you to measure with the jeep sitting at Ride Height. Made out of 2" X .120 Wall D.O.M. tubing that is Double the Strength of the Factory Tubing and will clear the exhaust and cross member eliminating damage to the driveshaft at full droop. Has a Heavy Duty Flange on it that fits your OEM Pinion Flange so it is Easier to install and you won't need to Disturb the Crush Sleeve. Made out of 2 1/2" X .095 Wall D.O.M. tubing that is Double the Strength of the Factory Tubing. Lifetime Warranty on the Welds and Tubing if Twisted by Torque. 2" X .120 Wall Extreme Duty 1310 CV Driveshaft with Solid U-joints, and a flange on it that fits your front end so it is Easier to install. Lifetime Warranty if you twist our Tube or break a Weld. 2 1/2" X .095 Wall Extreme Duty 1310 CV Driveshaft with Solid U-joints. Replaced my failed front and rear stock driveshafts with Adams 1310 Extreme Duty and I couldn't be any happier. Fast shipping. Expertly packaged. Professional service that doesn't end when your order arrives. Fitment is perfect. Everything you need is provided. Driveline vibration is gone. There is no reason to entertain other options from other companies. Adams ALL THE WAY! One last thing: If you call ask for Dan. The guy is amazing and will answer every single question you have and not make you feel like a burden. Bought the full package. Delivered pronto. I wheel hard in the sand dunes with my Jeep and these beautifully sculpted Adams drive shafts held up to serious strain, articulation and torque on the sand. Gonna go for the 1350's next season. Purchased to replace my failing front shaft, jeep feels rock solid, definitely can tell the difference with the new shafts. Shipping was fast and the product is spot on! I bought these to replace my failed oem front shaft. The oem shafts lasted about 6 months after my lift. These are at 1.5 years and running strong. Got them pushing toyo 37x13.5r17 mt on raceline beadlocks. This is a heavy setup and puts lots of strain on the drivetrain. But they have held up with plenty of offroad use. Very easy transaction. Great communication and very fast turn around and shipping. Drive shafts were great and very good fit. My jeep has a 3 inch lift and i run 35's. Front shaft had a pinched CV boot. My mechanic i usually used was out due to illness for a extended period of time so i decided to install both front and rear shafts myself. Could not have been happier. Some difficulty getting old shafts off but the install of new shafts was made easy with the great instructions and video. Would highly recommend these driveshafts. Thanks again!! These driveshafts are well built and beefy. I will recommend these to all my Jeep friends if they want to upgrade.Install was easy after watching Adams video. Awesome, great price, easy install, fast delivery. This is one of the best upgrades for your Jeep. Do it and get the Spicer UJoints. Click the button below to add the ADAMS DRIVESHAFT JK FRONT & REAR 1310 CV DRIVESHAFT PACKAGE with SOLID U-joints [EXTREME DUTY SERIES] to your wish list.